There's an art to making the perfect snowball: it has to be compact enough to travel far, and aerodynamic enough to throw accurately. Enter the Flexible Flyer snowball maker, which makes it easy to shape the ideal snowball every time. 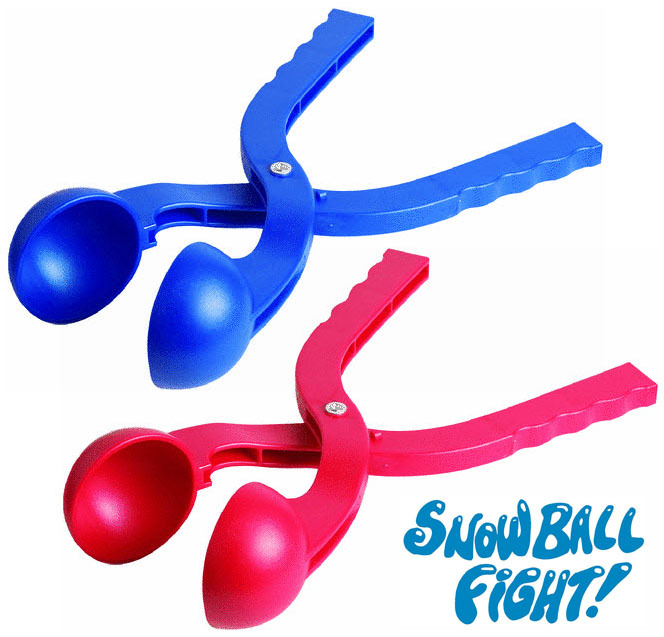 Designed to make a precisely round snowball in roughly a second, it's perfect for on-the-fly snowball fights or for kids who want to prepare an arsenal before the big showdown begins. The snowball maker--which includes a molded handle for easy use. It's recommended for ages 3 and older. I’m armed and ready for winter with this fantastic find that every kid at heart, and otherwise needs to have handy if a snowball fight is on the agenda for the holidays. The two scoops come together to form perfectly round snowballs for the winter warrior-slash-aesthete. This is also an invention with decorative applications, too, I suppose I should mention.